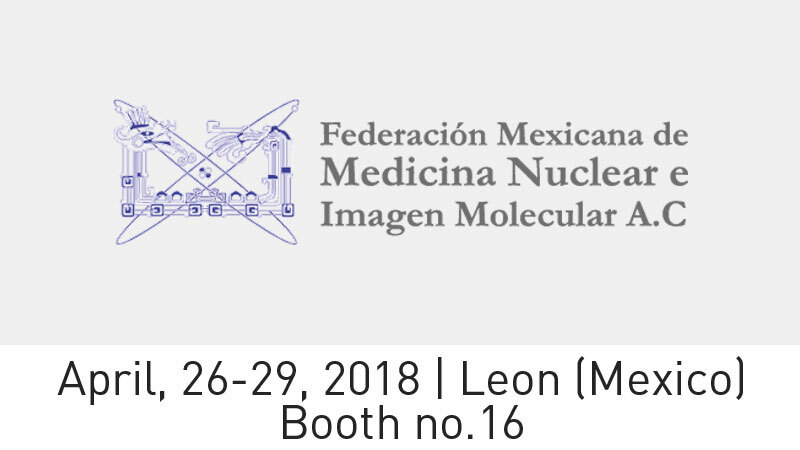 Comecer is attending the Congreso Nacional de la Federacion Mexicana de Medicina Nuclear e Imagen Molecular (FMMNIM) which will take place 26-29 April 2018 at the Hotel Hotsson, Blvd. Adolfo López Mateos 1102, Jardines de Oriente, 37270 León, Gto (Mexico). You will find our North American Sales Manager, Luca Neri, in booth 16 with our local partner JUAMA. If you are attending, be sure to stop by the booth. He’s looking forward to meeting nuclear medicine physicians, radiologists, medical imaging trainees, physicists, scientists, technologists, nurses, and the broader Mexican medical and scientific community. He can answer your questions on our vast nuclear medicine product portfolio and share with you our latest developments.